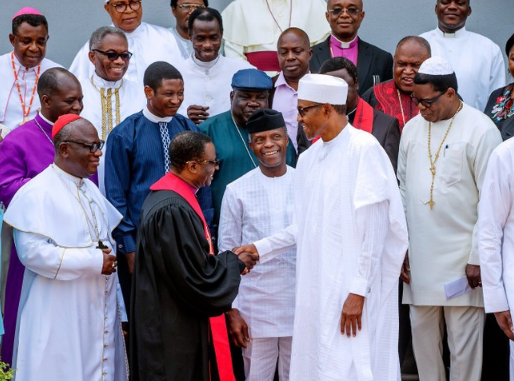 The Christian Association of Nigeria (CAN) has congratulated President Muhammadu Buhari over his poll victory which is now a subject of litigation at the Election Tribunal. The executive council of the association, numbering about 30 and led by the president, Dr. Samson Olasupo Ayokunle met with the president at the State House on Friday. Speaking after the meeting held behind closed doors, Ayokunle said the association was not under pressure to congratulate Buhari. He urged the president to comb the entire nation to pick the best for his cabinet and prayed that country witness meaningful development under Buhari.